Lundin Gold Recognized by United Nations Global Compact for Its Sustainable Development Best Practices | Lundin Gold Inc.
Lundin Gold Inc. ("Lundin Gold" or the "Company") (TSX:LUG)(OMX:LUG) is pleased to announce that it has been recognized by the United Nations Global Compact Networks of Colombia and Ecuador ("Global Compact") at the Best Practice Awards for Sustainable Development for its work undertaken jointly with the Lundin Foundation and Catering Las Peñas ("CLP"), the supplier of food preparation, cleaning and laundry services to the Company's Fruta del Norte gold project ("Fruta del Norte") in Ecuador. Global Compact is a United Nations' initiative through which companies and organizations voluntarily undertake to align their strategies with ten universal principles of corporate social responsibility. Following the Global Compact's evaluation process, Lundin Gold was recognized for its work with CLP, which relates to Sustainable Development Goal ("SDG") 8, Decent Work and Economic Growth. 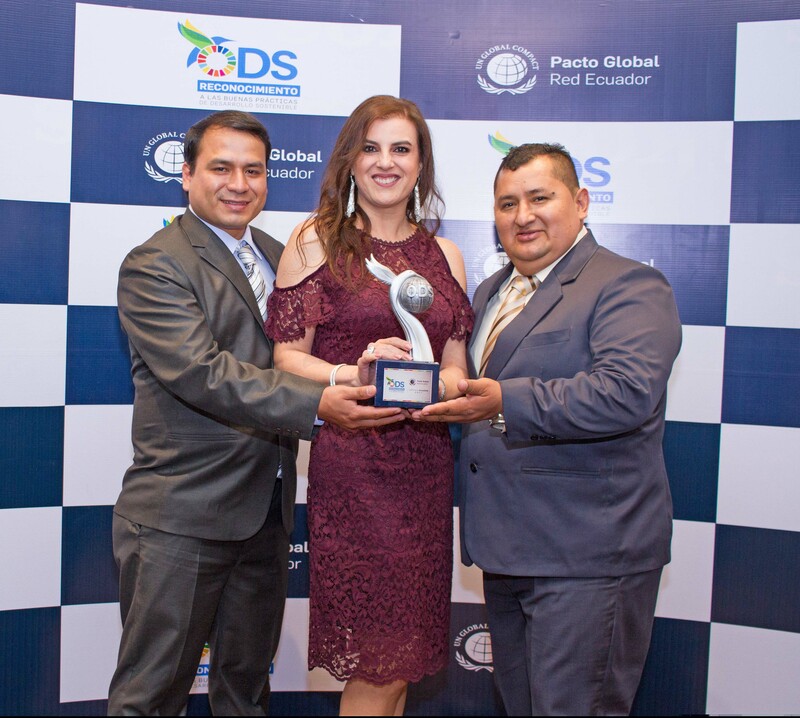 This award will allow the Company to be evaluated in the 2018 Regional SDG Awards with companies from other countries in Latin America and the Caribbean. "The alliance between CLP, the Lundin Foundation and Lundin Gold has had a significant positive economic impact in the province of Zamora Chinchipe and local communities that surround Fruta del Norte," said Ron Hochstein, President and CEO of Lundin Gold. "Local agricultural producers are now integrated into the catering supply chain, which has boosted the economy and has generated important sources of stable and gainful employment. We are very proud of the results achieved with CLP." Lundin Gold is committed to developing Fruta del Norte responsibly. In line with this, the Company aligns its community investment programs with the United Nations SDGs. This set of goals seeks to eradicate poverty, protect the environment and ensure prosperity as part of a sustainable development agenda. CLP was founded by former Lundin Gold employees, who, in doing so, fulfilled their dream to create their own business. Since 2015, CLP has offered food preparation, cleaning and laundry services to Fruta del Norte. Moreover, CLP and Lundin Gold share a common vision and commitment to sustainability. In just over two years, 150 jobs have been created, 75% of which are from the province of Zamora Chinchipe. More than 65% of CLP's suppliers are from the province of Zamora Chinchipe, and 30% of its purchases are made within the parish of Los Encuentros. Throughout its development, CLP has partnered with the Lundin Foundation and Lundin Gold. The initial investment and technical assistance provided by the Lundin Foundation helped to ensure the success of CLP and promote prosperity in the region. The Lundin Foundation works in partnership with the Lundin Group of companies, host governments, and local communities to improve the management of, and benefit streams from, resource development projects. Operating across diverse geographies, each with a unique cultural and socio-economic context, the Foundation aims to ensure inclusive benefits for generations to come. The Foundation embodies the entrepreneurial spirit of the Lundin Group of Companies, creating jobs, stimulating the economy, training workers and improving livelihoods for those living at or near the bottom of the economic pyramid. The Foundation designs and implements strategic initiatives through the provision of capacity building, targeted technical assistance and performance-based funding. Since inception, the Foundation has disbursed $62 million in support of building resilient communities. The information in this release is subject to the disclosure requirements of Lundin Gold under the EU Market Abuse Regulation and the Swedish Securities Markets Act. This information was publicly communicated at 9:00 am Pacific Time on November 22, 2017.